Or maybe there's no obligations now. I have a key in hand. It opens up new possibilities. We closed escrow on our house yesterday. Our new old house - new to us, almost older than the two of us put together. Finally, life has settled down to the point where it is time to put down deeper roots. To, as Voltaire would have it, cultivate our garden. So, what about this house? It's old (1924) and large and in need of TLC after a time of neglect. We're the third family to live in it. It has a Mission Revival style exterior, very plain, and a beautiful classic Craftsman interior. This is odd, as the Spanish style exteriors usually go with a plainer interior, thought we're not complaining. I've set up a website where we're going to write up our renovations efforts, publish pictures, keep a house blog and other things. I did password protect it because I'd really prefer not to give thieves and con men detailed information about the interior of the house and what we are doing. Friends are welcome to email me and ask for a password. There are a few immediate needs. There is a ficus tree in the back yard that needs to be cut down before it takes over the neighborhood. The kitchen has not been changed or updated since 1924, so it is both quaint and nearly unusable. That will take some major work. The electrical system has been updated from the old knob and tube wiring, but it is woefully inadequate for today's gadget wonderland. And so on. We expect renovations will take from now until Labor Day or thereabouts. HotKFor the fanfiction readers, I just posted a chapter for Hands of the King, Ch. 63 - Abandoned. Click on the story title to go to the overview, click on the chapter name to go to the chapter. 1 of 2 Denethor POV. Warnings: Not work safe. Violence, threats of violence, graphic sexual content, several distrubing scenes. Denethor tries to come to terms with Thorongil's departure. We signed a whole bunch of papers today. As long as the seller stays on even keel, by this time next week we will be the proud owners of an old house. HotKFor the fanfiction readers, I just posted a chapter for Hands of the King, Ch. 62 - Steal. Click on the story title to go to the overview, click on the chapter name to go to the chapter. 1 of 1 Finduilas POV. No warnings. Tensions rise as Minas Tirith awaits news of the attack. Maiaberiel makes her first move. Denethor has knowledge of things he cannot speak of. Finduilas takes several matters into her own hands. Sometimes victory is the wost possible outcome. Major scenes with Denethor, Ecthelion, Borondir, Laanga and Imrahil. Major scenes with other characters that would be spoilers to mention. Well, two weeks ago we made our fifth offer for a house and this one was accepted. We are in escrow now, so it could all still blow up spectacularly, but it looks like it's going to work. 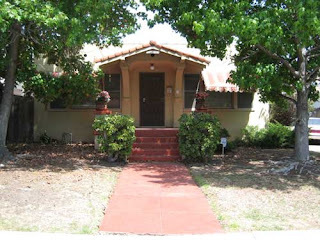 The house is a diamond in the rough, with great features and details from the 20s, but is going to need a lot of work. I'm ready for a change. HotKFor the fanfiction readers, I just posted a chapter for Hands of the King, Ch. 61 - Umbar. Click on the story title to go to the overview, click on the chapter name to go to the chapter. 1 of 1 Denethor POV. Moderate warnings for violence. Scenes with Ecthelion, Finduilas, Thorongil, Brandir and other characters. HotKFor the fanfiction readers, I just posted a chapter for Hands of the King, Ch. 60 - Time. Click on the story title to go to the overview, click on the chapter name to go to the chapter. 1 of 1 Finduilas POV. Mild warnings for grief and a little gore. All of the signs and portents of the last six years are coming to a head. Thengel had died, Umbar looms, and choices must be made. Time is all that remains, but it is going quickly, and Doom is at hand. I have wrapped up my alpha writing and completed most of my beta edits. I hope to publish one chapter per week from now until October.